No wonder you have no time looking up things like this. They look cool. Did you inquire on price? 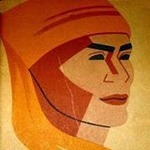 I think I will do "E" Troop. 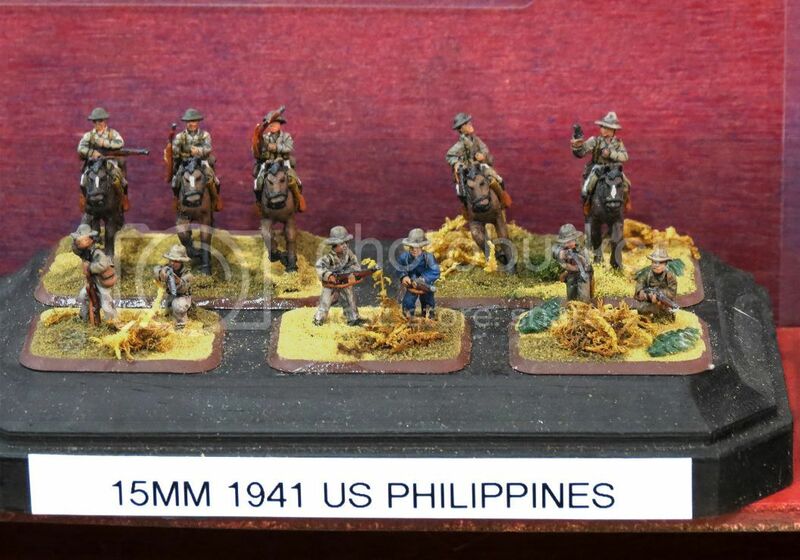 I'm glad the PS are getting some recognition even in the military minature hobby. 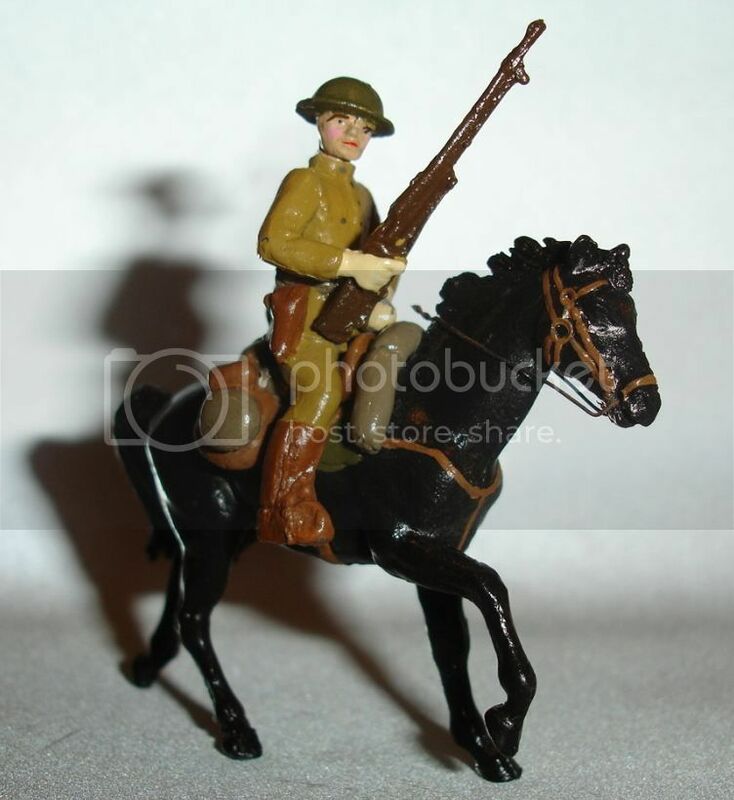 Maybe we could suggest to the manufacturers to cast them holding pistols instead of rifles and a Tommy gun. 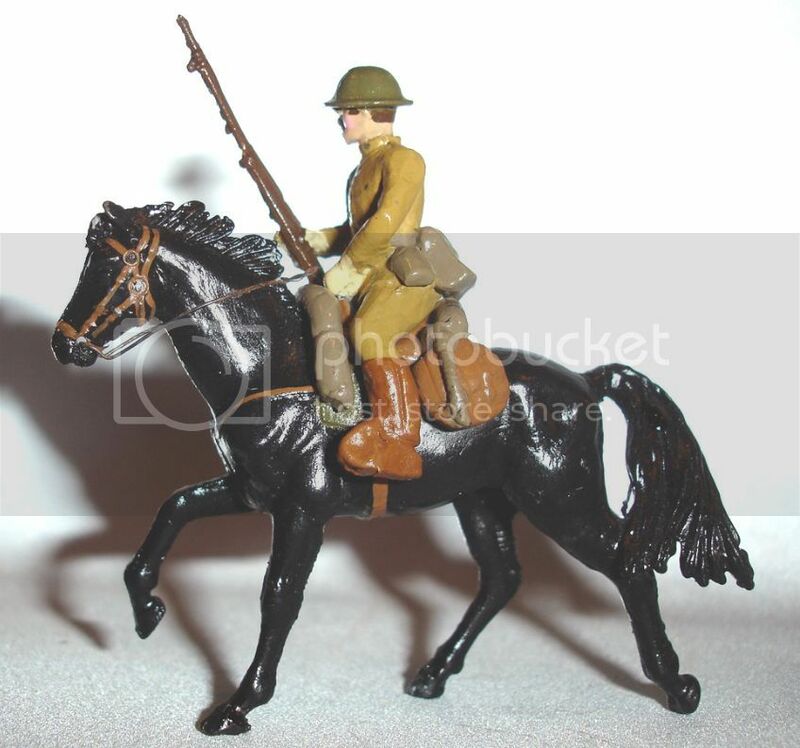 Hi vee vee and legionnaire and friends, i 've got this toy soldier i gave one of this item to Perry (pedrocolleciones ) as a gift, maybe i can obtain more than one piece of this toy soldier i will ask for next weeks; the amount on e-bay is very high !!! i think i can obtain it at a low price, anyway i will inform you as soon as possible. Wow Paolo that would be great. Thanks. We should go to learn more and promote the 26th PS. Could not find it on their site. Called and they are having a sale on the other Edmunds sets. Each set is handmade, solid cast, and painted by Edmund Fangonilo. They are packaged in a foam-lined deluxe box. 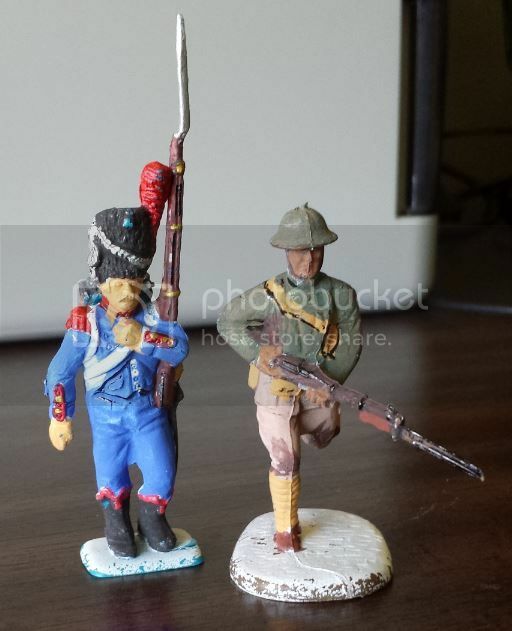 The soldiers are created in the traditional old toy soldier style, scale is 1:32 (54mm), appx. 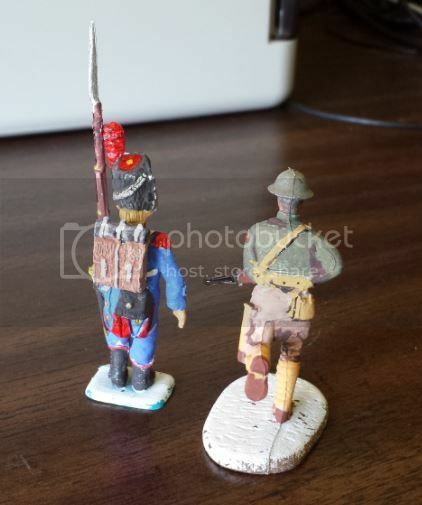 2 1/4" tall and made with great attention to detail. 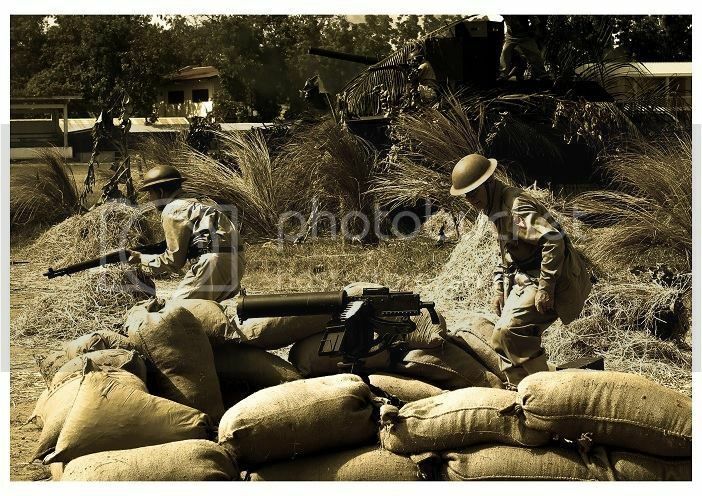 The sets are made primarily of a pewter-like alloy, primarily of tin which gives the feel of traditional lead soldiers but contains no lead or antimony. Production of each set is limited to 100. This was on ebay a while back. Pretty nice piece that could be a stand in for a 26th Trooper. $114. 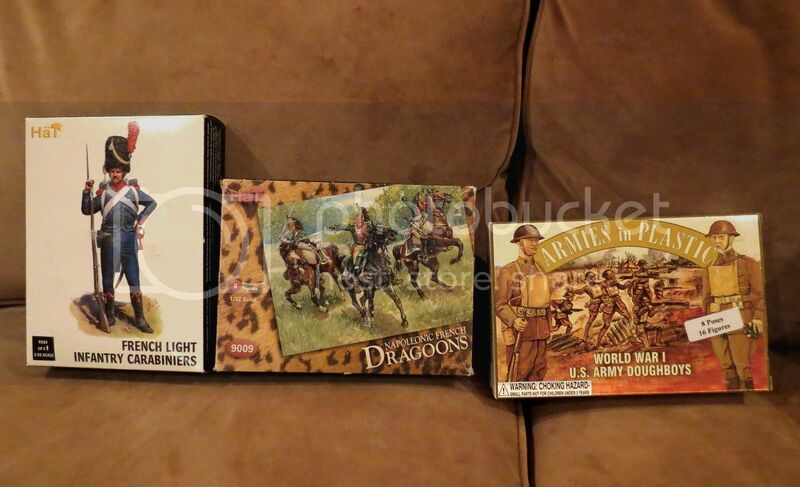 USD for a set of three "rare" not even highly detailed craftsmanship like King and Country is not worth it. 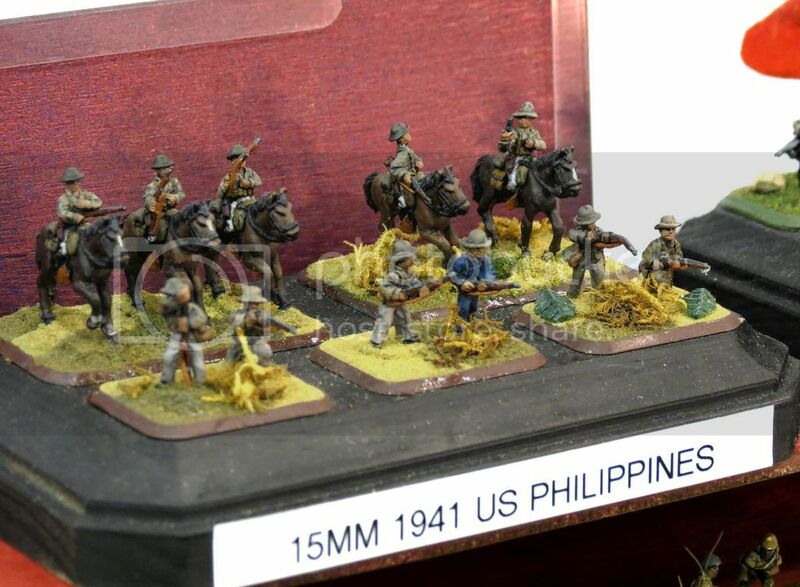 I've always dreamed of partnering with carvers in Paete to make a 1/6 scale versions, both infantry and cavalry. Painted or not. 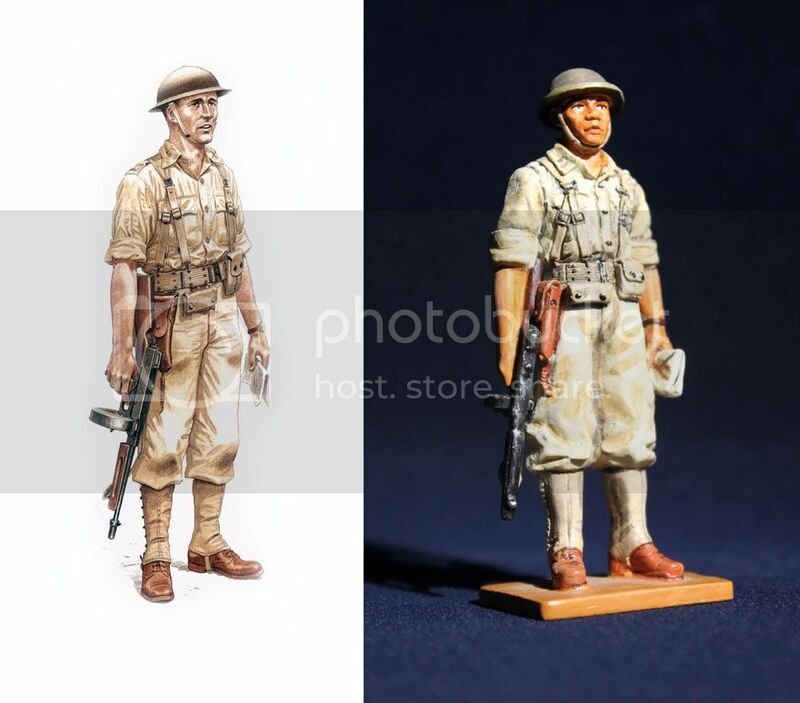 I know of a Colleague who teaches sculpture here who does super detailed die-cast resin military figurines and sells them from hobby shops here and have "toyed" with the idea of having him commission a PS figurine. But his not cheap to commission. here is a die cast metal figurine I got. We could commission David's carver. I might do this next time I go home. 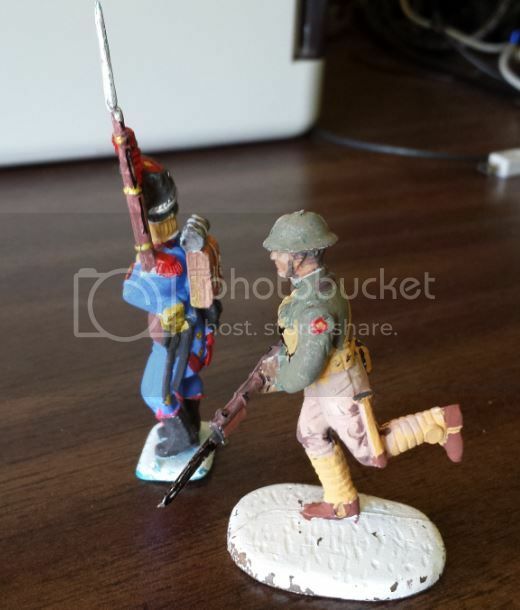 Last Charge/26th Cavalry wargaming... nice! 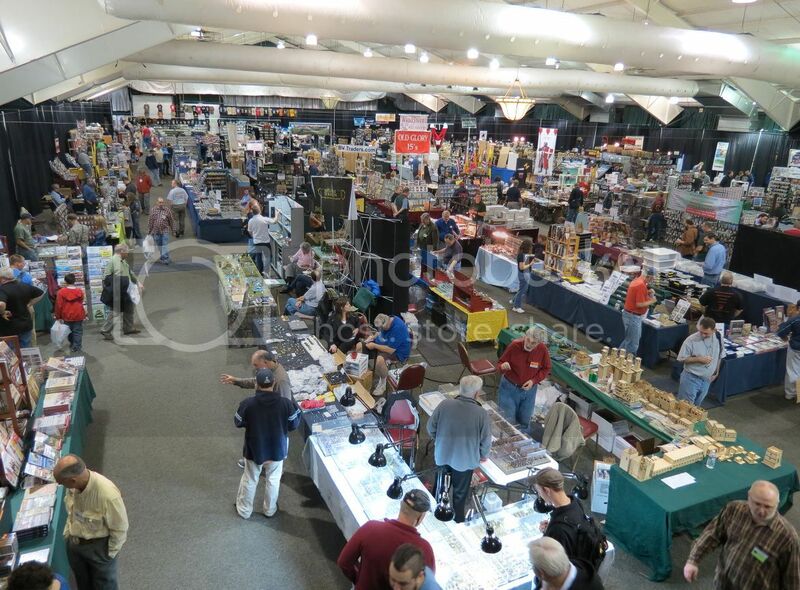 Went to a war gaming convention in the area to check out the vendors. 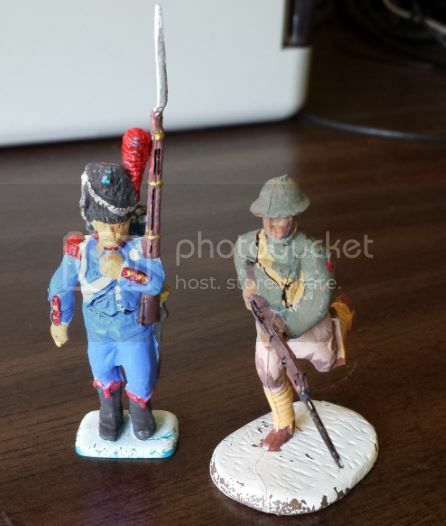 My son has been wanting more French Waterloo cavalry and infantry to add to his set. 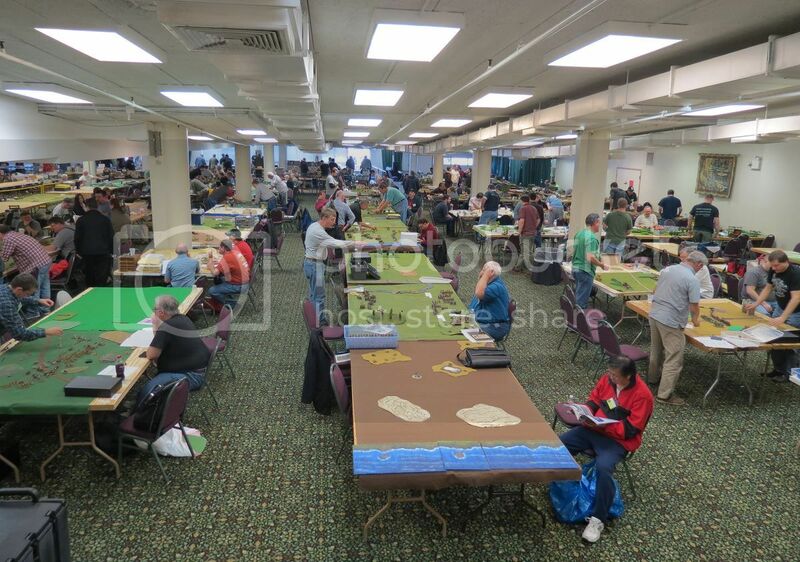 While we were looking mostly for plastic 1/32 and 1/35 scale toy soldiers, there was an incredible amount of the very little ones used for the table top war games. And look what I saw one vendor had... I bought some pieces but they're so little I'm not sure how I'll paint them. I tried to buy the display but it wasn't for sale. 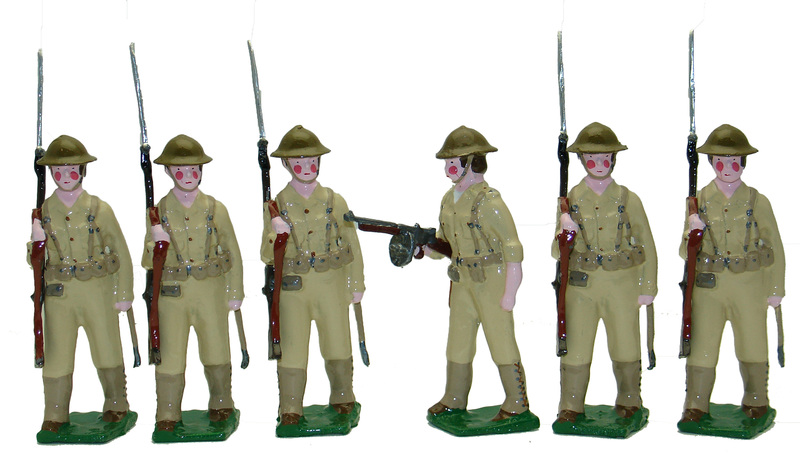 I bought some Wake Island marines to make into "Bataan"
I also bought a box of 1/32 scale WW1 doughboys to possible fake as PS. It will probably depend on how they are painted. 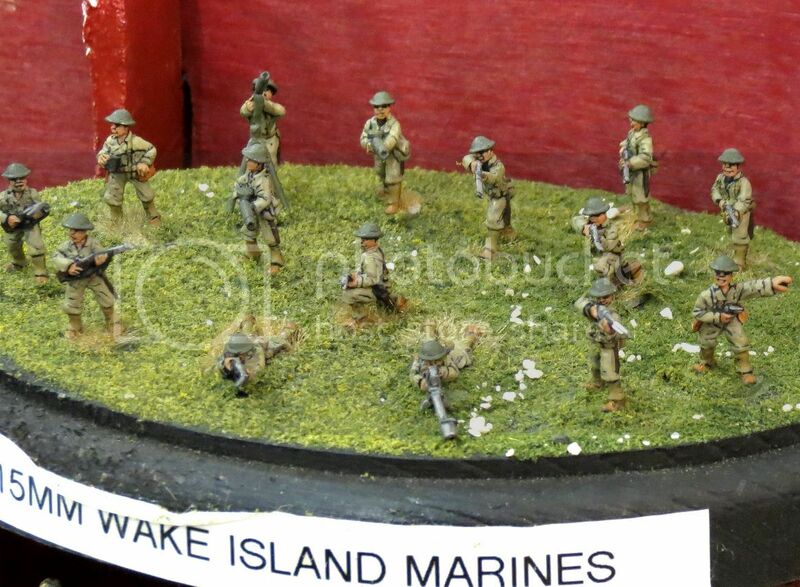 Do you have a link to the King and Country Wake Island marines? I can't find any. I messed around with the doughboy... still experimenting. It's a pain to mix colors to come up with the right shade of khaki and olive drab.